Today I’m talking with Abby Herman of Write Solutions about creating a process for content creation in your business. We’re going to talk a little bit about why you need a process for content creation, how you can create one that works for you, and how you can find the right content for your audience. Abby talks about some great information that you can put into place today to plan your content in advance so you’re never worried about doing things at the last minute and so that you can really dig into what your audience needs and you want to share with them. Abby is a content strategist and content coach for small business owners, helping to get her clients' written message out to their audience, in their own voice and on their own terms. She specializes in working with female-owned, service-based businesses to generate ideas and strategies that help to move their businesses forward with content that attracts the perfect clients. Abby firmly believes in the power of educating and empowering business owners so they can grow their businesses without breaking the bank. Community over competition is truly her jam! Today I’m talking with Amy of PaperFinch and we are chatting all about weatherproofing your business, including what that means for your business, how you can get started, and three major steps for getting weatherproofed. This applies whether you’re preparing to take some time off or you’re growing and scaling as you create different sources of income. A wanderer at heart, Amy at PaperFinch Design creates inspirational and geographic art and gift products in order to help people tell their story. She wants to help people illustrate and find the inspiration in their own journey – where they're going, where they've been, or their favorite life motto. Today I’m talking with Becky Mollenkamp all about transitioning from corporate clients to one–on-one work and we get into a lot of great topics. Becky discusses why she made the transition from working with corporate client to creative entrepreneurs. We talk about how the expectations on her business have changed based on the types of clients she’s working with, how she balances automation and personal interaction with her clients, as well as why she thinks being authentic online and on social media is so important. We talk about how you can beta-test your ideas before you launch your services and get into some really fun discussions on customer services and why that’s so important. Becky Mollenkamp is a business mentor for creative entrepreneurs. In her 10-week Own It, Crush It program, she helps entrepreneurs get out of their own heads to find clarity and create action plans for moving their businesses forward. Learn more about Becky and her program at beckymollenkamp.com. Today I am talking with Ashley Cox of sproutHR all about building a team that supports your business mission. We covered some great topics including how to hire for a small business, how to set up the hiring process including creating a really great job description, and how you can create an interview process that will help you find the right person for the job. We also talk a little bit about the difference between contractors and employees and how you might be able to hire an intern for your business. Ashley has so much to share and we covered a lot of it today, so I’m really excited for this episode. Ashley Cox is The HR Partner for Creatives at sproutHR, where she helps you hire, train, and lead your thriving team, all with confidence and heart. She loves to make the scary and overwhelming parts of hiring and leading a team simple, actionable and fun, so you can feel more at ease in your business and get the help you need! Today I’m going to be taklking about automating the client experience for great customer service. We’ve talked about automation in a couple of the previous episodes and you’re going to be hearing a lot more about it in upcoming episodes with guest, so I wanted to share with you my thoughts on automation including how I’ve used automation in my own business and with my clients to great a great customer experience without sacrificing the one-one-one, hands-on experience that you want your clients to have in your business. Samantha Mabe is the owner and designer at Lemon and the Sea. She loves empowering creative women with a heart to serve to grow their business through brand and website design. Her background is in design and architecture, but she’s been creating since she could hold a pencil. Samantha is a Pittsburgh native now living in Richmond, Virginia where she spends her days designing brands and websites and her evenings watching Netflix with her husband and their dog #gambittheweshi. Today Ashley and I chatted all about using customer feedback in product design, but this episode is so relevant to people in the service-based industry as well. Ashley and I actually met in person at a VIP Intensive back in February of 2017, so I was so excited to bring her on the show to talk about how she grew her company and how she uses customer feedback to help her design better products while still maintaining the vision she has for her business. 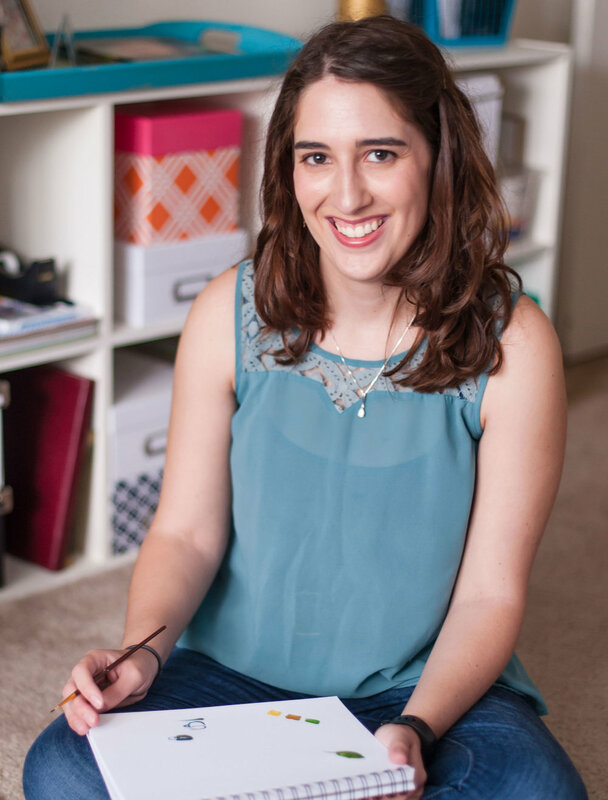 Ashley Staum is owner of She Plans, a little planner company that sells planners, notebooks and printable planners. She is a self-taught designer with a degree in Marketing and an MBA from Virginia Tech. Her products are created with simplicity in mind, in both design and functionality, to allow you to create the space to let life happen - because life doesn't happen on the page. As the daughter of a Navy man, Ashley lived in six homes as a child and is on her sixth home since getting married in 2004. She currently lives just north of Houston, Texas along with her husband and four young girls. 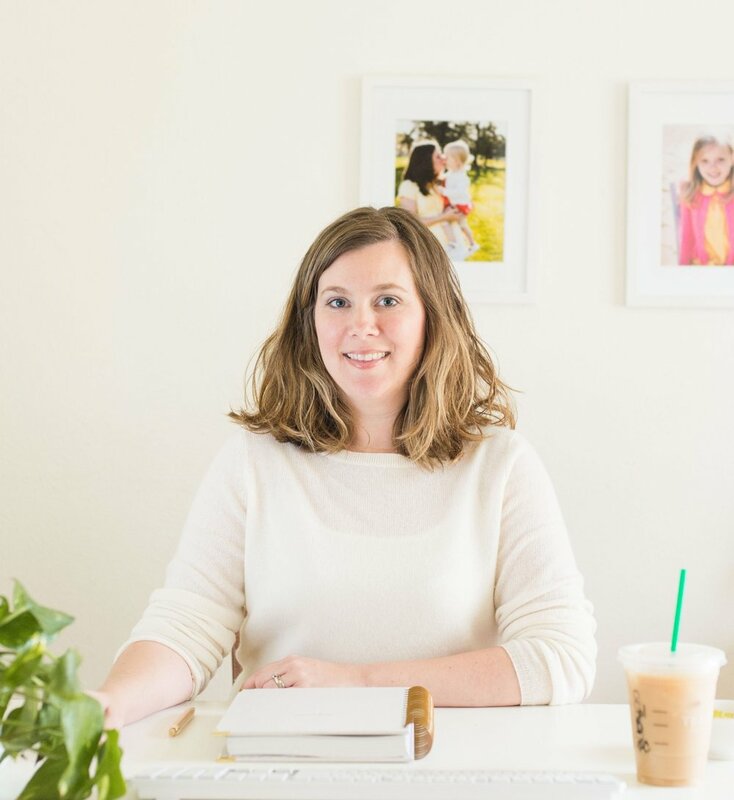 Today I’m talking with Elise Crawford of Ringlet studio about creating a social media strategy with your dream clients in mind. Elise and I had a great conversation all about why business need social media strategy, how you can create content that your dream client is going to relate to, and how you can avoid feeling overwhelmed by all of the different platforms and options there are out there. She gives us some great advice about creating a social media strategy that works for your business and helps you to grow and scale in a way that’s really true to you. 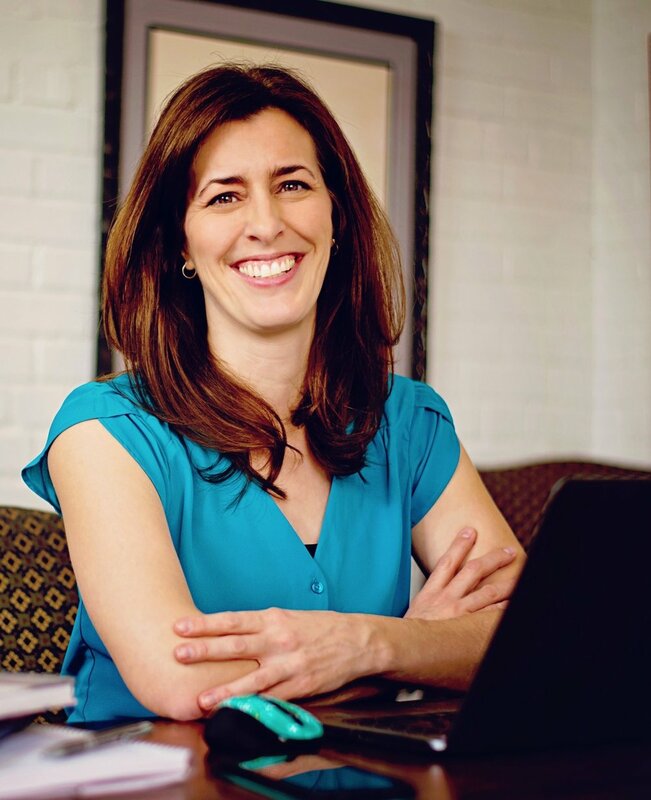 Over the last five years, Elise has worked with countless businesses in the D.C. area to create stunning brands, digital marketing campaigns, websites and social media portfolios. In the beginning of 2016, she began Ringlet Studio with the mission of empowering women entrepreneurs brands to be bold online. Elise graduated with a Masters in Communication from Johns Hopkins University. Her concentrations were in Public + Media Relations and Digital Communications. She has lived in D.C. for the last eight years. She is planning an August 2017 wedding to her college sweetheart. Today it’s just me and I’m going to be talking about why serving your clients and customers is so important. Of course, this is the basis for the entire podcast, but I wanted to talk about why I think it’s important and how I came to that conclusion in my own business. Today I’m talking with my friend Cinnamon Wolfe all about using your blog to educate your clients. She gets into a lot of great topics like how she has used her blog in the past to reach and educate clients in the wedding industry and as she is transitioning to be an educator for small business owners. We also talk about her process for blogging as well as some SEO tips that can help you blog get found online. Cinnamon Wolfe is a former corporate gal turned photographer, blogger and educator. She is an Army wife, stepmom, petmom and the friendliest introvert you’ll ever meet. She is obsessed with helping others realize they are capable of so much more than they think they are. She is a self-proclaimed #podcastjunkie and hosts her own show with her husband where they chat with business owners about all things photography, business and blogging. Her life goals are as big as her Netflix obsession and she can be always bribed with skinny vanilla lattes and deep conversations.